Just because a wedding dress looks good on your favorite celebrity does not mean it is going to look great on you, too. 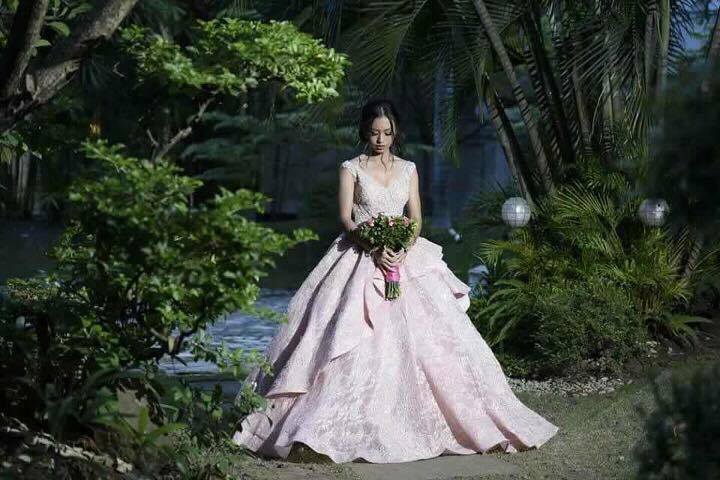 That’s because wedding dresses fall into difference categories and most of the time, those categories are determined by the brides’ body types. In fact, some designs are crafted especially to a certain type of figure and you have to find out which cut or type is ideal for your body type. Rectangle – A rectangle body type is known for having straight shoulders and rib cage that go with very little waist and straight legs. Lower and wider necklines with details are ideal for this body type. Cross over, flip-paneled, or A-line skirts and dresses also look good for this type of body, as well as halter neck dresses. Apple – An apple body type has broad shoulders, wide torso, average to full bust, undefined waist, hips that are narrower than the bust, and slim legs and thighs. Brides with this type of body can choose from v-neck, plunging neckline, or strapless dresses. A gown with a tie at the waist could also add definition to their body, as well as tops with flared or cuff sleeves or shoulder details. Hourglass – This body type is characterized by bust and hips that are of the same size and narrow waist. 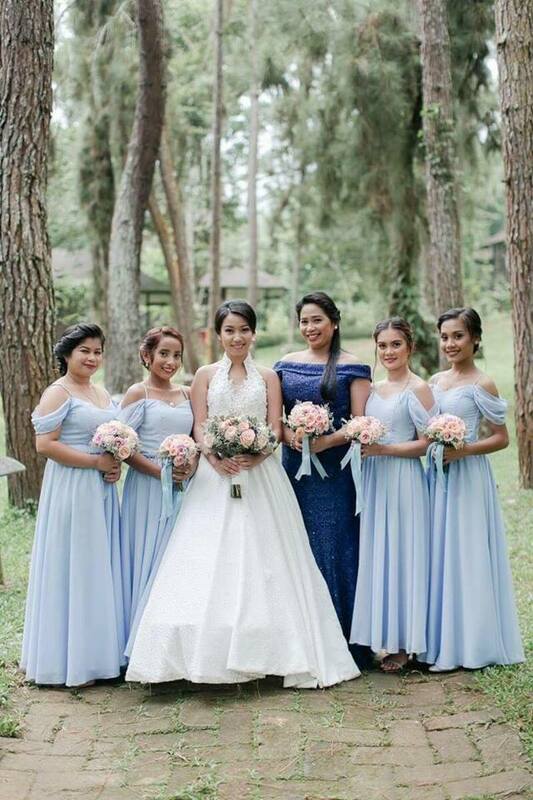 Wrap dresses look good on this type of body, since they help emphasize the bride’s thin waist. V-neck, halter, sweetheart, and scooped necks also look great on this body type, same with full circle or tulip cut skirts or A-line and pencil suits. Inverted Triangle – An inverted triangle body type has wide shoulders, average to full bust, and narrow waist and hips. 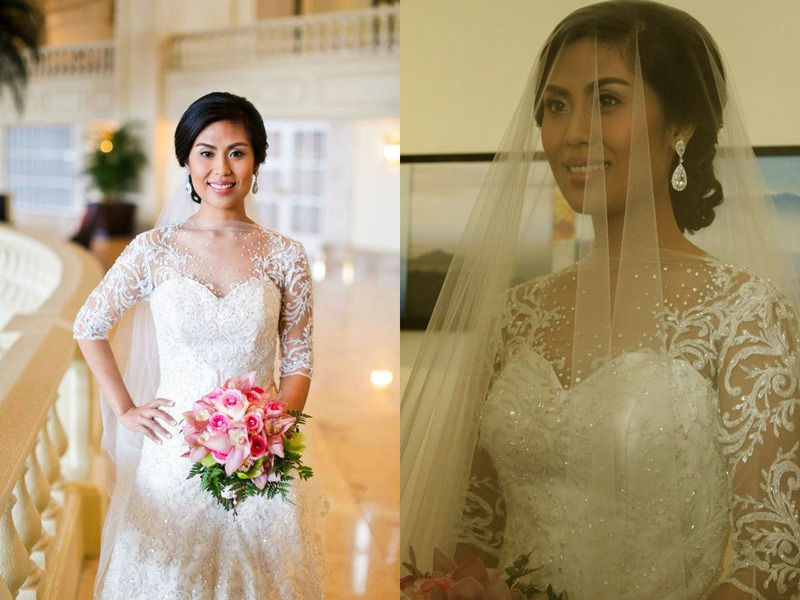 Brides under this body type, can elongate their neckline with a v-neck or u-neck dress. Bust may also be emphasized with sweetheart bodices or faux and wrap styles. Curves may also be shown off with form-fitting silhouettes, fitted tops, pencil skirts, wrap and belted dresses, and A-line skirts. Pear – Narrow shoulders, small bust, defined waist, curvy hips, and broad thighs define this body type. 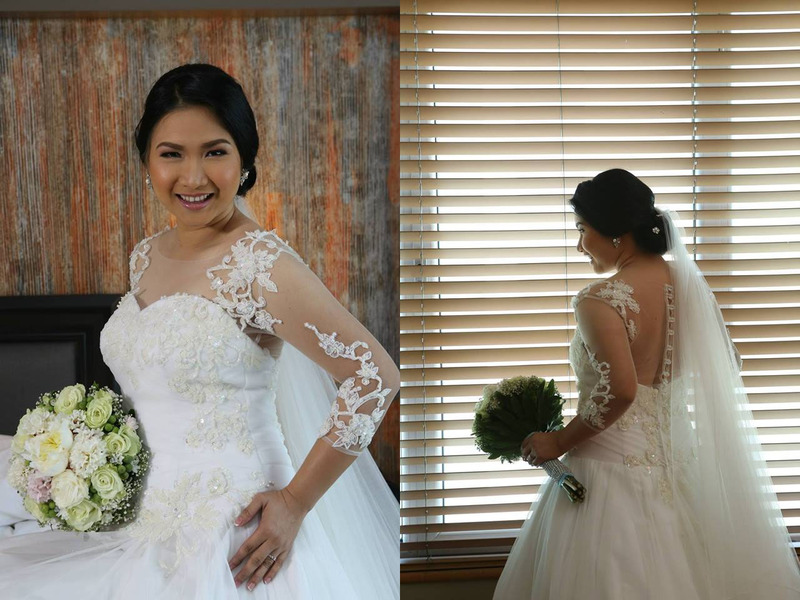 Usually, embellished tops and decorated necklines are used to highlight the upper body of brides under this category. Broad necklines are also used to broaden shoulders and emphasize the bust. Good examples of such would be boat necks, scoop necks, sweethearts, and strapless dresses. 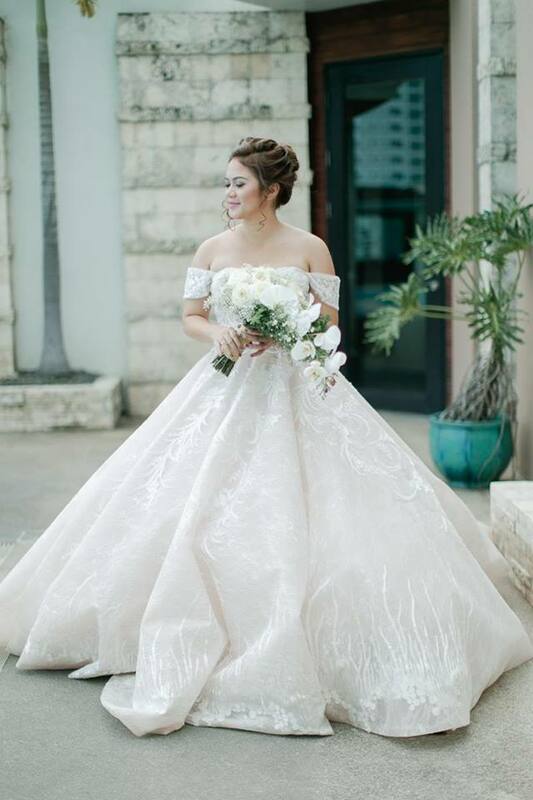 Wide sleeves are also great for brides with pear-shaped bodies, as well as skirts that start just above the hips and are knee-length. They can also have embellishments at the bottom parts of the dress. A-line or tulip skirts, ideally banded around the waist also look good on these body type. Eager to start your search for the perfect wedding dress? Check out Kasal.com’s list of wedding dress makers!